After this spring’s contested election season, I am proud to introduce myself as the UMass Lowell Student Trustee. 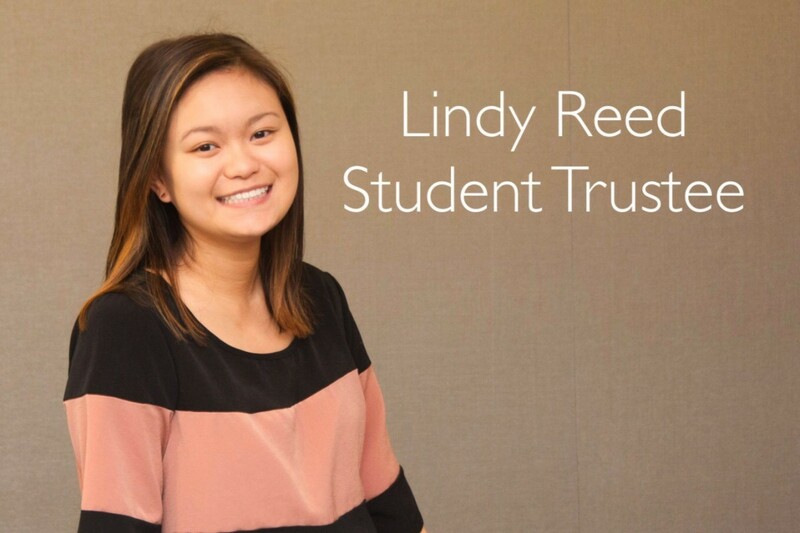 For those students who are freshmen or who somehow missed the hundreds of posters bearing my name and smiling face, my name is Lindy Reed and I am one of five student representatives that serve on the UMass Board of Trustees. The UMass Board of Trustees consists of seventeen members appointed by the governor and five student trustees, elected by their student bodies, from each of the UMass campuses (Lowell, Amherst, Dartmouth, Boston, and Worcester Medical). Two of the five student trustees have voting power, and every year the UMass campuses rotate which two of their student trustees gets the vote. The Board of Trustees votes to approve or deny major university policies, such as the creation of new degree programs, new campus construction or renovations, and faculty tenure. One of the Board’s most important votes that has a direct impact on every student is the annual vote on student tuition and fees. Throughout the election season this spring, I promised to vote against any increases to student tuition or fees and to make affordability my number one priority. At my first meeting as student trustee, the infamous Administration and Finance meeting, I voted against an increase to tuition and fees. It was difficult to sit through the meeting and listen to the trustees discuss the inadequate amount of state funding to the UMass system, and to hear how little support the Commonwealth was providing towards the growth and development of the UMass system. No one wants to see tuition and fees increase, and it was clear that the Board was extremely unhappy to have to consider an increase. In the 2013-2014 and 2014-2015 years, the State gave the UMass system budget increases of $50 million for two consecutive years. These same two years, UMass was able to freeze tuition and fees. I personally believe that State funding is critical to maintaining the high-quality education that each of the UMass campuses provides, and in order to strengthen the value of a degree, the State must continue to provide funding that keeps pace with the rate of inflation and other economic and financial factors. Now, due to an alarming national trend of decreasing state aid to higher public education, the financial burden is being shifted to students and their families. The historical relationship between the Commonwealth and the UMass system has ended, and as UMass shifts towards a new financial model, I hope to see the State invest in its students and preserve affordable, quality higher education.